KNOXVILLE -- Rick Barnes throughout his tenure as Tennessee's basketball coach has stressed the importance of the Volunteers annually playing a "national schedule." The Volunteers certainly are doing so in their second season under the veteran coach. 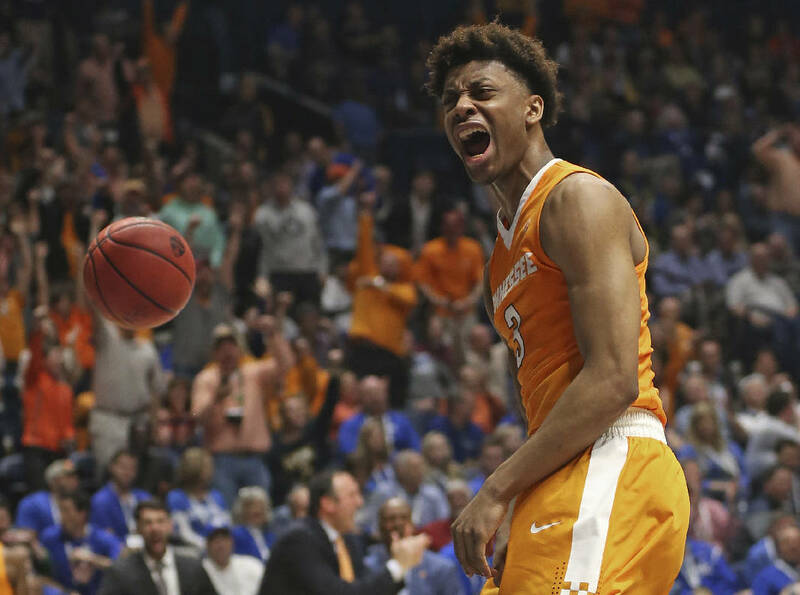 Tennessee's non-conference slate is highlighted by a Dec. 11 trip to North Carolina, an appearance in the esteemed Maui Invitational and a rematch with Gonzaga at the Bridgestone Arena in Nashville. The Vols open the season against Chattanooga on Nov. 11, the Friday before the home football game against Kentucky. Tennessee and North Carolina have played in basketball only nine times, with the Tar Heels, losers of last season's national championship game, winning eight of those meetings. Barnes is from North Carolina (Hickory), and the game will be a homecoming for freshmen Jalen Johnson, Kwe Parker and Grant Williams. The game with Georgia Tech is the second in a four-year series. The Yellow Jackets won narrowly in Atlanta last season. Tech hired hired Memphis coach Josh Pastner earlier this offseason. The rematch with Gonzaga follows last season's game in Seattle, which the Bulldogs won after Tennessee erased a 19-point deficit. Matchups for the Maui Invitational have yet to be announced, but the strong field includes North Carolina, Connecticut, Oregon, Wisconsin, Georgetown, Oklahoma State and host Chaminade. The game against Kansas State is a rematch from a game Tennessee won two years ago that was also part of the SEC/Big 12 Challenge. UTC, which returns the top three scorers from a 29-win NCAA tournament team, will provide a stern test to Tennessee's young team from the opening tip of the season, and ETSU nearly beat the Vols in Knoxville last season. Appalachian State (9-22 last season), Presbyterian (11-20), Tennessee Tech (19-12) and Lipscomb (12-21) round out the non-conference schedule. The SEC portion of Tennessee's schedule will be released at a later date.